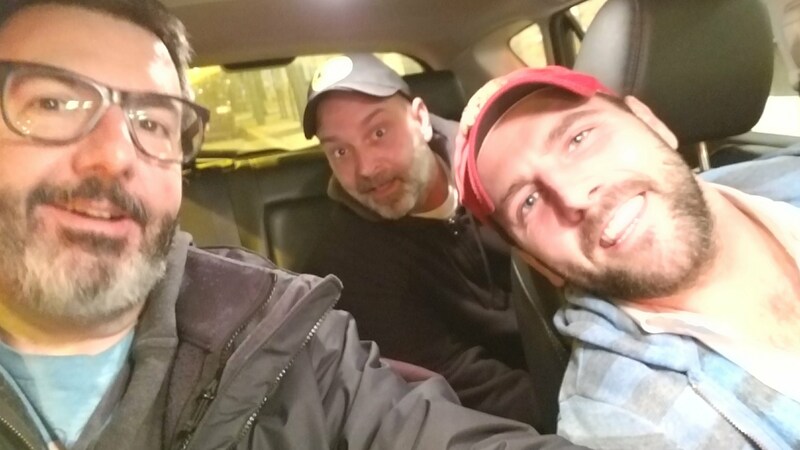 Chicago actor Mickey O’Sullivan jumps in the car for diner food from his favorite place, The Golden Apple (2971 N. Lincoln). I was lucky to steal time with Mickey, he’s super busy these days playing “Chef Dan” on “The Chi” on Showtime. Related: GREAT SHOW. Watch it here! The important role Golden Apple’s played in Mickey’s life. I got the Monte Cristo. I didn’t see it on the menu, but diner rules say Golden Apple had to have one. My time teaching at Columbia. Mickey’s TV wife, Kristina Emerson. Maybe they should get married in real life. What’s in a Monte Cristo (a fried ham and cheese sandwich, a variation of the French croque-monsieur)? And why am I not a ******* Monte Cristo expert? Our not-so-good Michael Shannon stories. Michael Shannon is THE MAN. O’Sullivan’s upcoming film “Captive State,” starring John Goodman. John Goodman is also THE MAN. How important is it to diet when you play a chef on TV? Not. Mickey’s the coolest, and this episode is a great way to become familiar with him and his work. And please, do yourself a favor and check out “The Chi” when you’re done listening to this episode. Thanks also to Mike Sanow for hanging out for this episode!